Steel twin screw turbine ship, built by Alexander Stephens, Linthouse Yard, Glasgow. (Yard No 525 ) for Fishguard & Rosslare Railways & Harbours Co, in 1929 as a passenger and mail vessel. 1930: Introduced by Fishguard & Rosslare Railways & Harbours Co between Fishguard – Rosslare. 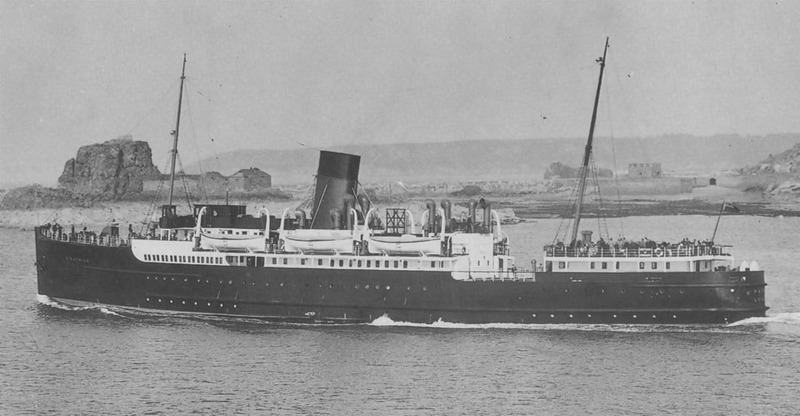 April 18th 1930: Maiden voyage Weymouth – Channel Islands. This was 3 days late due to rudder damage while docking. A new rudder being fitted while in dry dock at Southampton. She was intended as a relief vessel for both routes, but spent most of her time based at Weymouth. September 1930: Final day on that route. She then returned to Fishguard. She returned to Weymouth for July and August each year. August 5th 1932: Sailed from Weymouth to Jersey and during a foggy approach to the island hit rocks off Corbiere and was disabled. The local tug, DUKE OF NORMANDY, and the ISLE OF SARK came out from St Helier and took off the passengers, and the ST JULIEN , which was anchored off Guernsey, also went to the scene. May 16th 1937: Had an extended period on the Channel Islands route as, due to the ST HELIER being at Penarth for improvements. 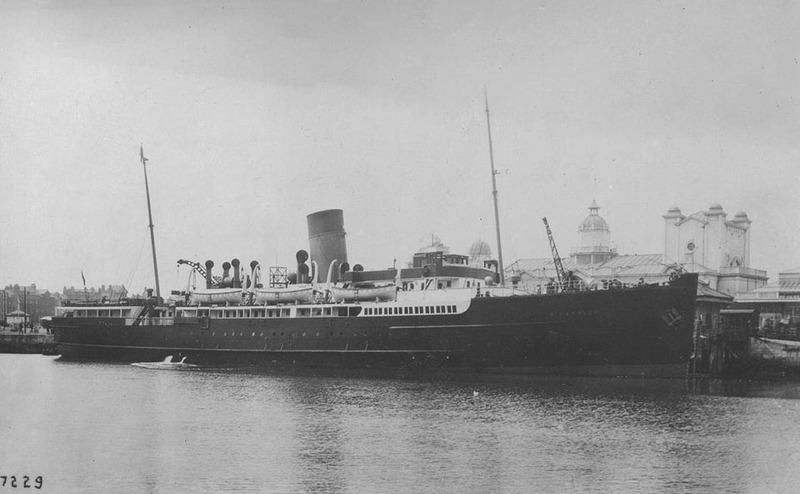 September 2nd 1939: The ship left the Channel Islands for the last time. September 4th 1939: Took up service from Fishguard. September 20th 1939: Requisitioned and ordered to sail for Avonmouth. September 24th 1939: Joined a troopship convoy leaving for the French Atlantic ports in Quiberon Bay. 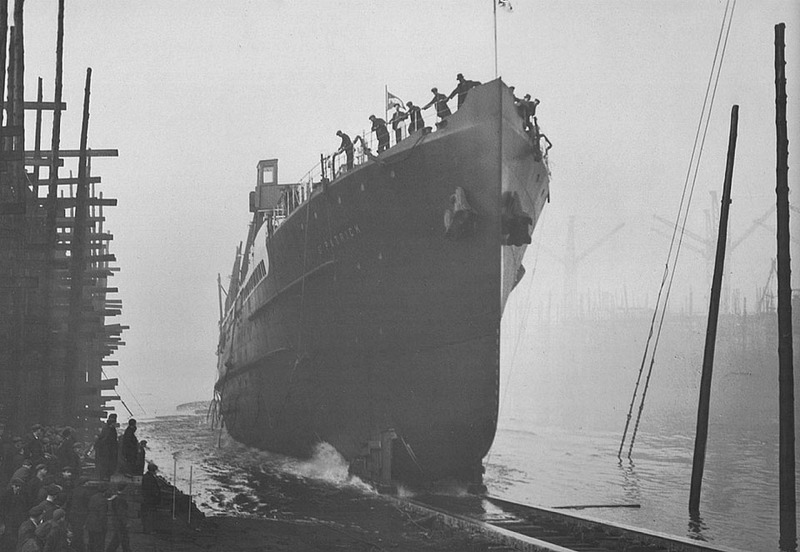 October 5th 1939: Returned to Avonmouth from her final crossing. 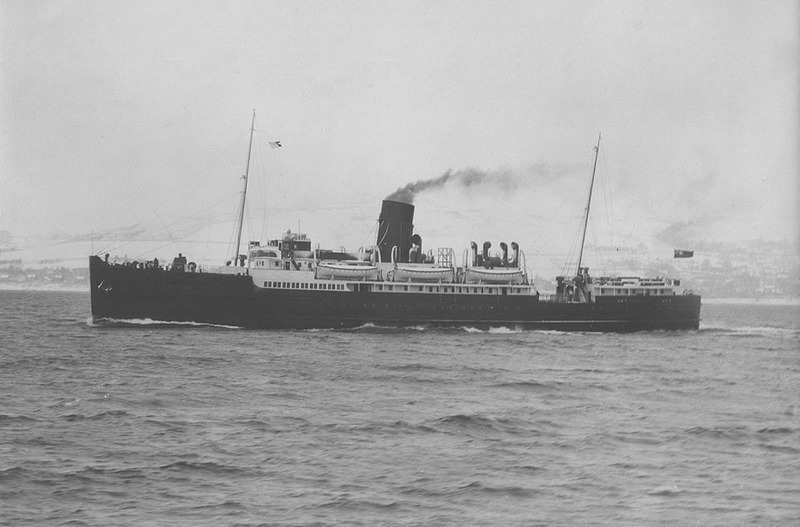 October 10th 1939: Re-entered commercial service fro Fishguard. 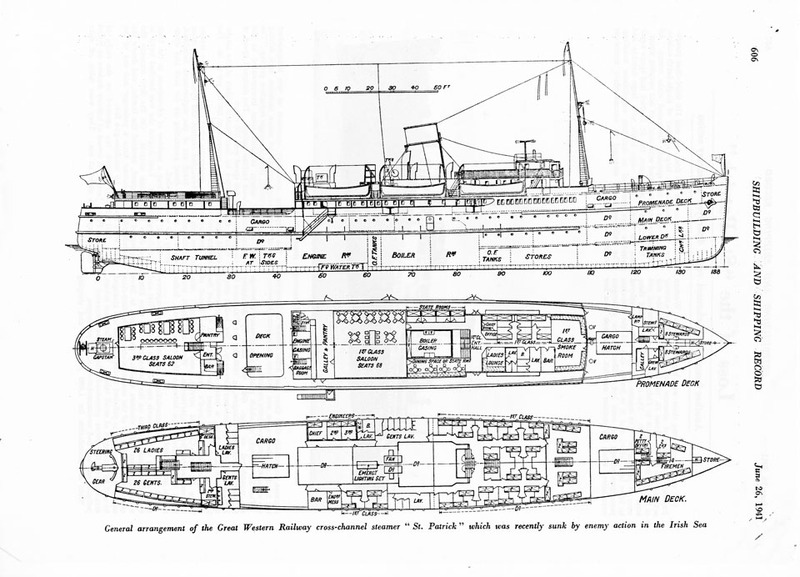 October 1939: Remained on Fishguard – Rosslare route. August 17th 1940: Air attacked and undamaged. August 20th 1940: Air attacked and undamaged. November 15th 1940: Struck a submerged object. November 28th 1940: Detonated an acoustic mine at Fishguard. 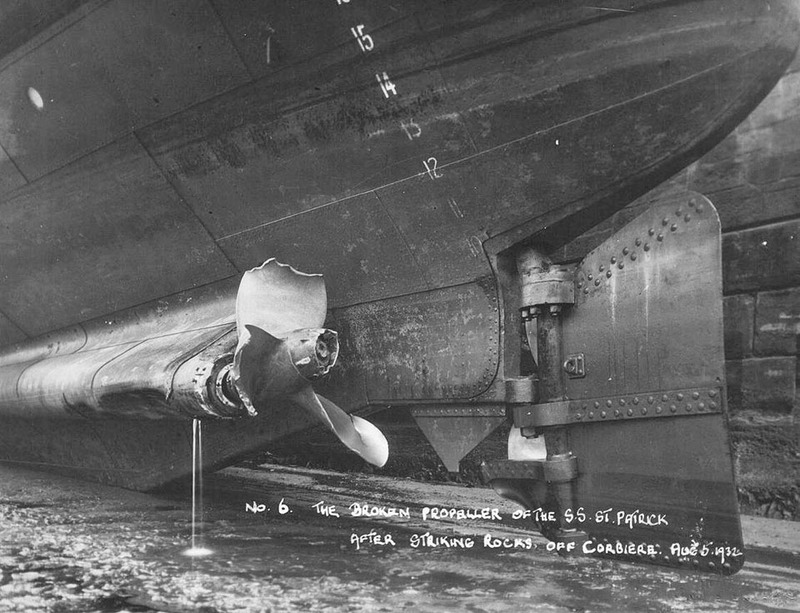 May 13th 1941: Suffered slight damage from an aerial attack. June 13th 1941: Near the end of her trip from Rosslare to Fishguard, was dive-bombed and sunk by enemy aircraft (52.04N – 05.25W). The crew numbered 45 and there were 44 passengers. The master and mate were believed to have been killed and it was feared that all the first class passengers except one were lost (19 crew with G.W.R‘s Commodore Faraday and 10 passengers lost).